Sometimes it’s nice when your iPod runs out of power. 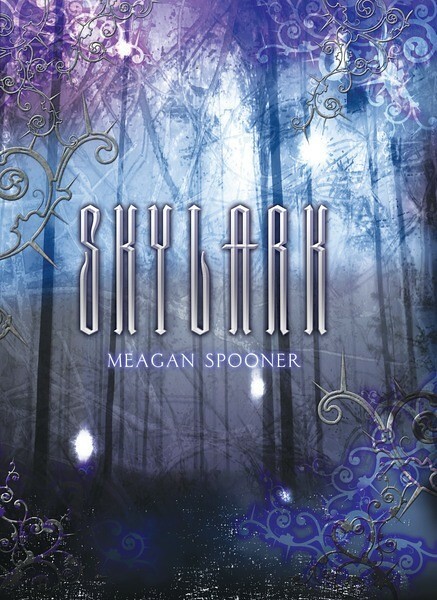 Meagan Spooner explains how a day without hers led to her thinking about the world in a whole new way, and led to her novel Skylark. I don’t usually come up with settings first. For me the meat of any good story is in the characters, and that’s usually my way in. But with Skylark, the world came to me first, and in such a screaming torrent of “what ifs” that I had to pull my car over to the side of the road. I’d been listening to an editorial piece on NPR about the energy crisis. That makes me sound all informed and intellectual, but the truth was that my iPod was out of batteries and it was the only radio station I’d bothered to program on my car’s presets. So while a voice in the background outlined plans for new solar endeavors, wind-driven energy farms, and corn-powered cars, my mind was free to wander. And because I am who I am, I ended up thinking magic. And that was the moment I had to stop driving and turn off the radio to concentrate, as my brain turned over a thousand different questions. What if instead of electricity generated by coal, oil, nuclear reactors, and solar panels, technology was powered by magic? What if instead of circuitry and electronics, machines ran using clockwork wound by a “spring” of magic? What if the spark of life, the indefinable energy that makes us living, functioning beings, was something that could be tapped? What if the world evolved around the idea that people, not the planet’s resources, contained all the power we’d ever need? And, perhaps most importantly: what would happen if the human race abused that resource, in this alternate world, as we’ve done in ours? As I sat there in my car, bemusedly watching the traffic whizzing by, an entire civilization rose—and fell—in my imagination. I pictured huge, gangly transport machines, household servile automatons, flying novelties, city streets clogged with horseless carriages, all powered by magic. I pictured a society awash in luxury, always wanting the next invention, the newest fad, all the while draining civilization of the magic that kept it running. And then, playing the scenario out to its inevitable conclusion, I imagined being wars fought over the last, remaining dregs of power. I pictured a magical wasteland, twisted and destroyed by the warring factions’ efforts to horde the power for themselves. I love imagining what happens after the end, so even more interesting to me than the rise and fall of this magic-based civilization were the last shards of humanity left behind—power-hungry, war-scarred, and desperate. And so the city in SKYLARK rose up in my mind, governed by the descendants of scientists clever enough to outlast the wars, existing under a dome to protect them from the magic wasteland outside. In this walled-off, precarious ecosystem, every resource would be balanced exactly. Each new child would be harvested of his or her magic as soon as they matured, so not a spark of power would go to waste. In this new, bleak existence I imagined that everyone would have to fulfill their roles with perfect efficiency, each person a tiny cog in the larger machine of the city. No room for error—no room for malfunctions. Up until this point, it was like an intellectual exercise. I was just imagining this world for fun, with no intention to tell any kind of story, just letting my mind wander wherever it wanted to go. But then I discovered Lark, my main character. Because in a world where everyone’s lives depend on smooth efficiency, where your safety is purchased by the sacrifice of your magical energy, it was obvious to me whose story would be the most interesting to tell: the girl who fails. I like writing about misfits, so I knew instantly that I had a story I wanted to write, not just a fun world to think about. Lark is older than the other unharvested kids, and as the years go by they pass her over again and again for the harvest without telling her why. The people around her consider her a freak, a dud, born without magical abilities—an unheard of anomaly. The novel begins with Lark’s discovery that not only does she have magic, but she has more than she knows what to do with. A fact which doesn’t escape the notice of the city’s architects—who have plans for her after all. I like unlikely heroes. I like heroes who start off ordinary, no different from you or me, but are shaped by the world and by their choices. I like moral gray areas, and wrong decisions, and mistakes. I like characters who are afraid, because I know I’d be afraid if I were them—I like seeing characters who are afraid but who are taking action anyway, because that’s what I hope I’d do. I like watching characters become the people they’re meant to be. And that’s what gripped me so, lodged in my brain like a splinter. I knew who Lark was at the beginning of the book, but what I wanted so, so badly to see was who she’d become by the end of the story. It was at this point in my thought process that I finally managed to pull my car back out onto the road and finish driving home. When I got there, I sat down and started writing, and I wrote every day until I finished the first draft a couple months later. It was the first time in years that I’d felt so seized by an idea. It was the first time I’d ever consistently and repeatedly raced home to my computer to write each day. It was also the first novel I’d ever finished. Still, I can’t help but wonder, two years later, “what if?” What if I’d been on the road just half an hour later, and NPR was broadcasting something different? What I’d just forced my attention back to driving? What if I’d driven home in silence instead of turning on the radio? What if I hadn’t forgotten to charge my iPod, and I spent my drive home belting out Bad Romance and The Best of Queen? Read the opening pages. Visit the author’s site. Follow her on Twitter. Yet another book added to my wishlist. Sounds like an interesting world and a character I will like. Metropolitan, and the sequel, City on Fire by Walter Jon Wiliams, iirc, deals with these matters also. this sounds fascinating! I don’t usually comment on, much less read “The Big Idea” posts on this site, but for some reason I did and it resonated with me. I can’t write (books anyways) but I have ideas like this all the time. Glad you’re following yours Meagan. This does sound interesting. It reminded me of The Magic Goes Away, but in a way both more and less depressing. I used to obsess on your “what if” scenarios. I finally decided that wondering about paths untaken was causing other untaken paths, so I just went about my business hoping for the moments that change paths. Your novel sounds fascinating. I look forward to reading it. Thanks John for the heads-up! 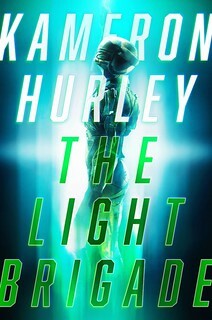 Looks very interesting and another one to put on the library book list. My budget expanded a little recently and today I decided to start reading Big Idea posts again. $10 later, I remember why I stopped. I think I might have a problem. Is there a Bibliophiles Anonymous? 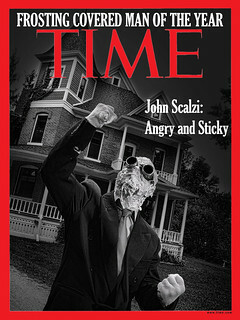 Thank you, John, for the post, and Meagan for what looks like a terrifically interesting read! Does anyone know where i can get an ebook version of it? At least no kindle version available….